Rouge poster series continues in strength. Inspired words for a dynamic and brave community. 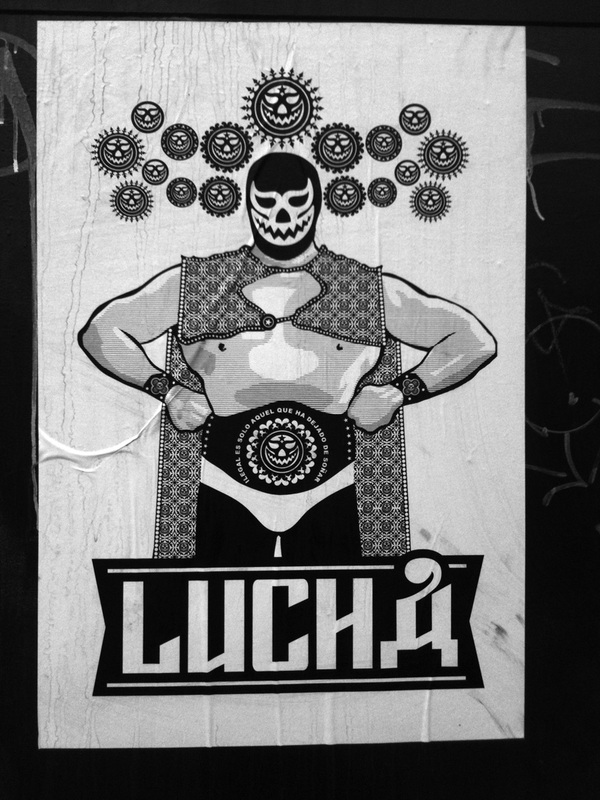 See the first Lucha below. Above: The first poster in a series by Luis Fitch, UNO. 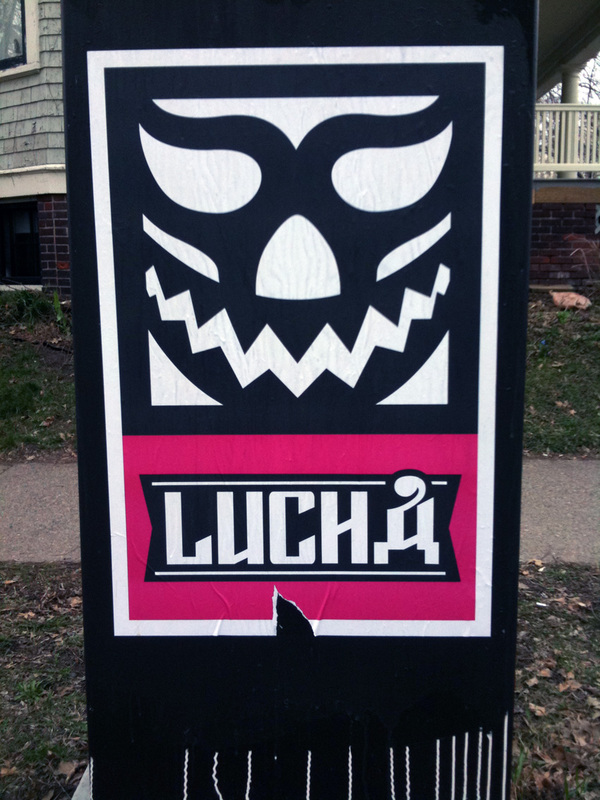 Above: Another extension of the Lucha series, this one playfully amended by BC. Found on an electric box near the Walker, this photo went up on Facebook and my Google+ stream, and seconds later, appeared on Jeffrey Zeldman’s Flickr page. Work done by Don Lucho. 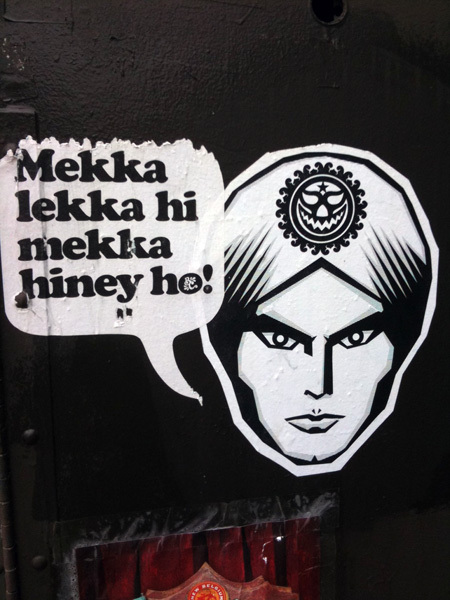 This entry was posted by Erik Brandt on Thursday, July 7th, 2011 at 1:29 PM	and is filed under Aktuell, Education, Free Radicals, Geotypografika, Globalization, Graphic Design, Illustration, International, Internet, Minneapolis, Musica Viva, News Links, Typografika, Typography.